Generally there are four schools of interpretation regarding the Book of Revelation. 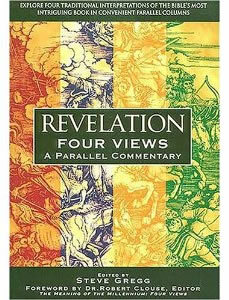 Most people studying the diverse views on the Book of Revelation will at least overview these four views. These are dealt with by Steve Gregg in his book, Revelation: Four Views: A Parallel Commentary. Each of these views generally claim to interpret the Book of Revelation “literally”. Yet each view goes about this ‘literal interpretation’ quite differently. This is why it is more helpful to settle how we should interpret the Bible accurately rather than try to read the Bible through a particular interpretation grid. This especially applies when seeking to understand the Book of Revelation. (This is called the Doctrine of Perspicuity). (it is coherent and without contradiction). (iii) No Scripture should be interpreted in a way which contradicts the overall message of Scripture. 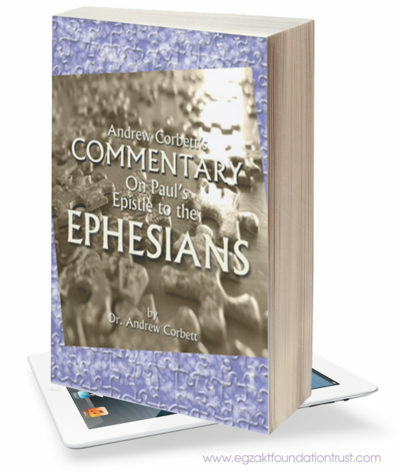 Some Biblical Scholars place a great deal of emphasis upon the individual words in Scripture. One method of doing this is called “Word Studies”. While these word studies are of some value, they are really of very limited value and should not be our starting point for interpreting a passage of Scripture. For example, if I wrote: She was bearing, what would I mean? To bear can mean- to carry, to deliver, to turn, to put up with, or even to change into an animal! Unless you know the context in which I am using these words, you can not know precisely what I am intending to convey. Therefore, employing the three principles of sound Biblical interpretation above, we make it our aim to discover the Biblical author’s intended meaning of their text. Some might argue that this is not possible today since we are so far removed geographically, linguistically, culturally, and situationally from the time of the writing of a Biblical text. There is some merit to this exasperation, to be sure, it is at times a very difficult exercise, but it is not an impossible one. 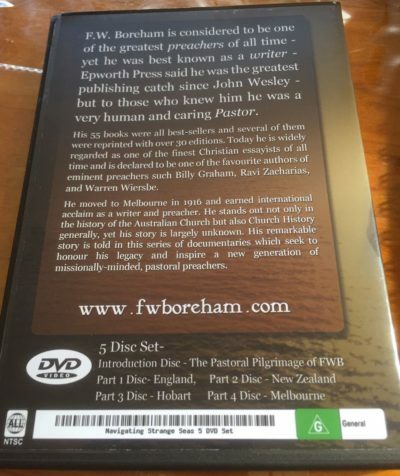 Church Fathers – again, this source is not always helpful, but it can not be lightly or too quickly dismissed since these early writers were sometimes connected with the Biblical authors and may have received and recorded helpful insights. Based on these foundations for sound Biblical Interpretation we come armed to understand the Book of Revelation. The tools and rules we use to understand the Book of Revelation are therefore the same ones that we would use to understand Second Corinthians, or Colossians. We should be on our guard when someone boldly declares that the Book of Revelation requires radically different Hermeneutical rules than those used to understand any other Biblical Book. The first principle, Scripture Interprets Scripture, is surely especially true for the Book of Revelation since at least half of its content is drawn from Old Testament concepts or text. When understanding what a “beast” is for example, we not only recall that Daniel established this symbolism for a National Ruler, but that Revelation 13 actually cites Daniel 7. To understand what Revelation means by “a Harlot” we recall that the Old Testament prophets repeatedly described Israel and Judah’s breach of their covenant with God as “harlotry”. The same goes for the use of numbers as symbols. 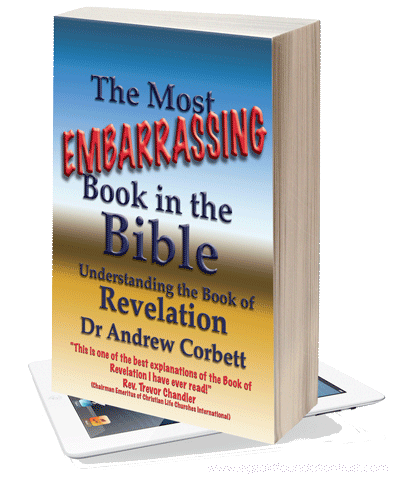 Revelation cannot be understood without being familiar with the language of the Old Testament. The second principle of Biblical Interpretation is Context. Without understanding the backdrop to the Book of Revelation we cannot possibly begin to understand its message. Too few of us understand the geo-political landscape of the first century. The Roman Empire was founded by a King (Julius Casar) who was never crowned Emperor – but his adopted son, Octavian, was (who modestly changed his name to ‘Augustus’ and took the family name of Julius as a title: Caesar). The Book of Revelation draws on this distinction by alluding to the first “emperor” (Augustus) riding a white horse (Revelation 6), and then to a different character- the first “king” in Revelation 17. Understanding this simple distinction and who these Emperors were will help us to understand the backdrop to the Book of Revelation. The third principle of Hermeneutics, No Scripture Should Be Interpreted To Contradict The Overall Message of Scripture. This is not to force a Scripture to mean something that it was not intended to mean, rather it assumes that since the Bible has One Author (though many Pen-men) its message will be integrated, coherent, and without contradiction. Any apparent contradiction is probably an issue of poor interpretation (and therefore even poor translations) than it is an actual contradiction. While we can and should make certain healthy assumptions about the Bible (such as the two mentioned near the opening of this article) there are other assumptions that are less than helpful such as when the Scripture does not specifically identify who it is referring to, it is a potentially problematic exercise to assume the identity of such a character. For example, when we approach the Book of Revelation it could be assumed that the Beast of Revelation of Chapter 13 is the same character referred to elsewhere in the New Testament as “the Anti-Christ”. But take a closer look at Revelation 13. There are actually two beasts mentioned. Interestingly, the beast with the number 666 is not the one marking his followers, it is the other beast on behalf of the first beast. Who is this second beast? I hope you can see why it might be beneficial not to import any assumptions into the details of a text. Assuming something directly contrary to the plain Biblical statements within the text is also a faulty way to read Scripture. For example, should we assume that the Book of Revelation is primarily about the “end of the world” and therefore prophesying events thousands of years removed from its date of writing when it plainly says that its events were: “near”, “at hand”, “soon”, and “this hour”? We should read the Book of Revelation assuming that the original first century audience could have understood its contents. This assumption is partly buttressed by its plain statements indicating such. For example, in Revelation 13, John describes two beasts and then tells his audience that with wisdom they can know who he was talking about. This demands that the identity of the two beasts in Revelation 13 was known and therefore alive at the time of John writing. This is why Historicism’s claims that the Beast of Revelation 13 is the “Pope” is poor hermeneutics. The Book of Revelation should be read in a way that attempts to look over the shoulder of the original audience. 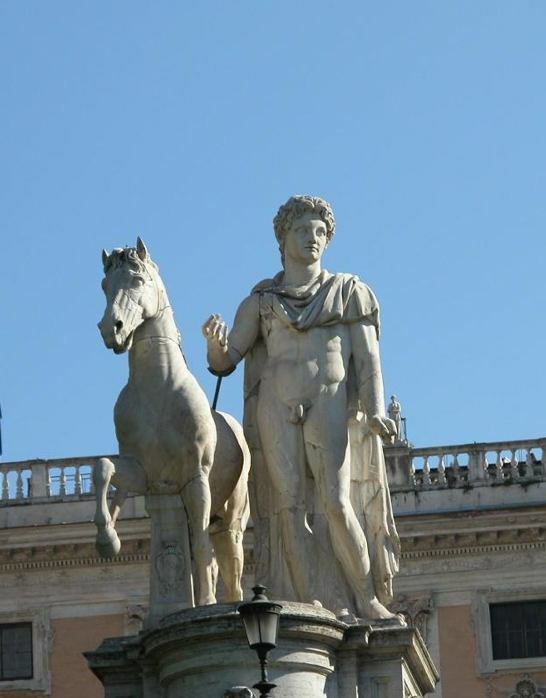 When they read of a rider of a white horse described in Revelation 6 it would have been difficult for them not to have identified this as the first Emperor of Rome, Caesar Augustus, who rode a white horse. When the list of ‘horsemen’ expires after the fourth horseman, the original readers would have understood that the fifth Emperor of Rome was not a military leader. They would have also understood that it was the fifth Emperor, Caesar Nero, who began martyring the Church which is why we read that when the fifth seal was broken, the martyrs cried out. When the original audience, receiving this Epistle around 65AD, read that their trouble would last 1260 days (Revelation 11:3), they could have taken heart that since Rome’s persecution against them commenced in 64AD they didn’t have too long to endure it epecially when in Revelation 12:6 it revealed God’s promise – that even allowing for martyrs – He would preserve them. They could have taken further heart from the encouragement in Revelation 17 which lists the kings of Rome and comes to the sixth king (who was the fifth Emperor), Nero (the most butcherous martyrer of Christians ever), and declares that he shall die soon. This prophecy was all the more remarkable because Nero was only 27 years old at the time, and we know now that from the launch of his persecution against the Church, he only survived another 1260 days! (He died aged 30 and a half.) The original audience would have also known about Gemetria where a person’s name could be represented with a numerical value. They would have known that “Caesar Nero” was the Gemetria value of 666. They also would have been familiar with the Old Testament usage of the term “beast” to mean ‘ruler’ and that the expression “of the Land” identified a Jew and the converse expression, “from across the sea” identified a Gentile. Thus in Revelation 13 one beast is described as being from across the sea (Caesar Nero) and the other beast is described as being from the Land (or “earth”) and represented the ruler of the Jews (the High Priest). They would have known that the High Priest insisted that Temple worshipers wear their phylacteries (bound either to their foreheads or writsts) in order to participate in Temple worship. Knowing this historical backdrop to the Book of Revelation helps to avoid needless speculation about a supposed future Antichrist to come. Understanding the Book of Revelation does not begin by choosing a school of interpretation – rather, it should begin by settling how we understand any book of the Bible. Therefore, interpreting the Book of Revelation is not so much about Eschatology (the study of ‘last things’) as it is about Hermeneutics (correctly interpreting the Bible). There is good reason for regarding that Revelation 1:1 to 20:6 has been fulfilled already and that Revelation 20:7 to 22:21 is in our future. In this light, we can look back at the Book of Revelation’s accurate predictions of its near future and draw great confidence from this that what it says about our future is just as sure.